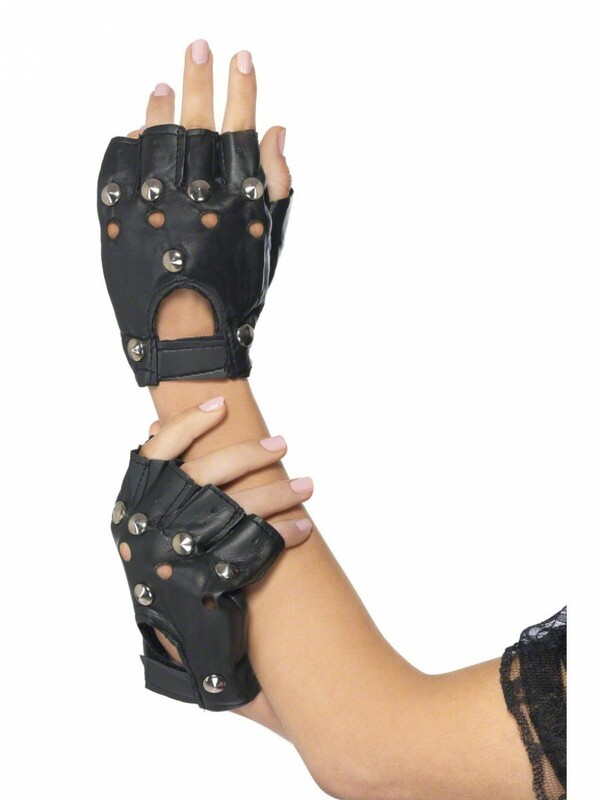 Leather effect PVC Punk Gloves with stud design – perfect for Punk Costumes or any 1980s fancy dress rock theme! A pair of leather effect black PVC gloves, with fingerless & stud design, as pictured. The gloves fasten with Velcro tabs. Unleash your inner punk rocker with this great accessory!